I was a founding employee of Dekko, Inc. from December 1, 2010 through to January 11, 2013 and worked in the role of Senior Computer Vision Engineer, as the team grew from four people to ten. I was responsible for the initial software architecture and the implementation of our computer vision based augmented reality system. Starting from academic research results, I implemented a real time SLAM optical tracker, and the foundations of our monocular 3D reconstruction system on a consumer mobile device. I also invented a monocular stereo initialization technique, developed the idea, sketched out the user experience and built a prototype to perform user tests. Eventually I built out the full initialization technology that was launched in the Apple App Store in mid 2012. This video shows our SLAM based 3D reconstruction in action, enabling occlusion and collision of real world objects and a virtual character running in realtime on an iPad2. With more than 4000 10.000 registered developers Hoppala Augmentation is the world’s largest content platform for geo based augmented reality. Hoppala Augmentation is the “Dreamweaver” for AR. It seamlessly publishes your content to all three major AR browsers: Layar, Junaio and Wikitude. Create once and publish everywhere. I had the great honor to contribute to this year’s Augmented Reality Conference ARE 2011 in Santa Clara, California. My presentation was all about making AR technology accessible to non-technical people, it was about content management for geobased AR and cross-browser publishing. It was great to share and discuss some of the learnings from building the Hoppala Augmentation content platform. Dieser Artikel erschien zuerst in der Ausgabe 1/2011 der Zeitschrift Mobile Technology aus dem Software & Support Media Verlag, Frankfurt. Hoppala Augmentation, the world’s largest content platform for mobile augmented reality applications, expands beyond Layar exclusivity and adds support for Junaio and Wikitude mobile AR browsers. Hoppala Augmentation provides an easy-to-use graphical web interface to create augmented reality contents with just a few mouseclicks. It provides a login and a full screen map interface, and images and 3D models can be easily uploaded to a personalized inventory. Created once, Hoppala Augmentation publishes your contents to all major mobile augmented reality browsers. In addition to previous support of the Layar augmented reality browser, Hoppala Augmentation also adds support for Junaio of the German AR company Metaio, as well as Wikitude by Mobilizy from Austria. 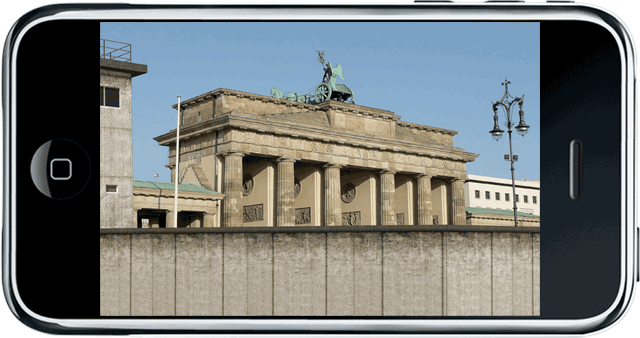 The Berlin Wall 3D once again served as a great showcase of what can be done in mobile augmented reality at Making Mobile Marketing Work workshop in Birmingham on december 1st. 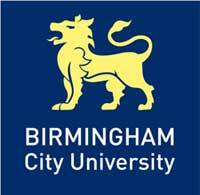 The workshop was presented by DMA in partnership with Business Link West Midands and the NTI-New Technology Institute, part of Birmingham City University. Making Mobile Marketing Work was a one-day practical workshop demonstrating how to take mobile marketing beyond SMS using a range of channels to create stimulating, effective and engaging marketing campaigns. It was part of the European Creativity Voucher which is a current project that sets to enable companies in different EU countries to collaborate and work together.